From the initial ad order to final layout, The Magazine Manager’s collaborative environment simplifies production at every step. Each module is designed to keep materials organized and ensure last minute changes do not fall through the cracks. The Magazine Manager’s Job Jacket has a clean interface for reviewing and sharing proofs. Feedback can be exchanged in real time, while time estimates are tracked. 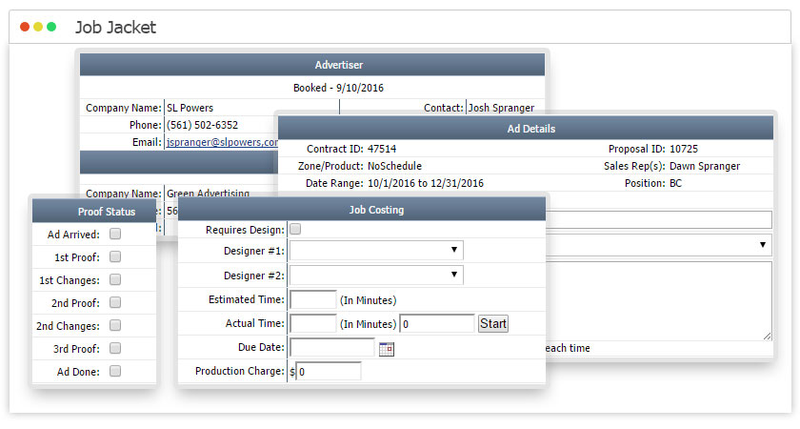 Any itemized production charges will carry over to the invoice, without putting forth any manual effort. 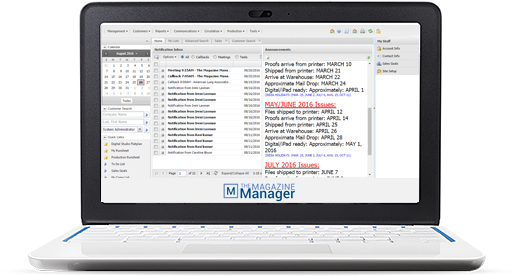 The Magazine Manager’s Ad Manager provides real-time production updates of all multimedia ad units. Even advertisers can be emailed notifications about upcoming material deadlines all at once.